Welcome to November friends! Are you guys ready to start seeing Christmas goodness all over this blog? We have dived into the Christmas crafts, treats, traditions, etc and are ready to start sharing all the fun with you guys! 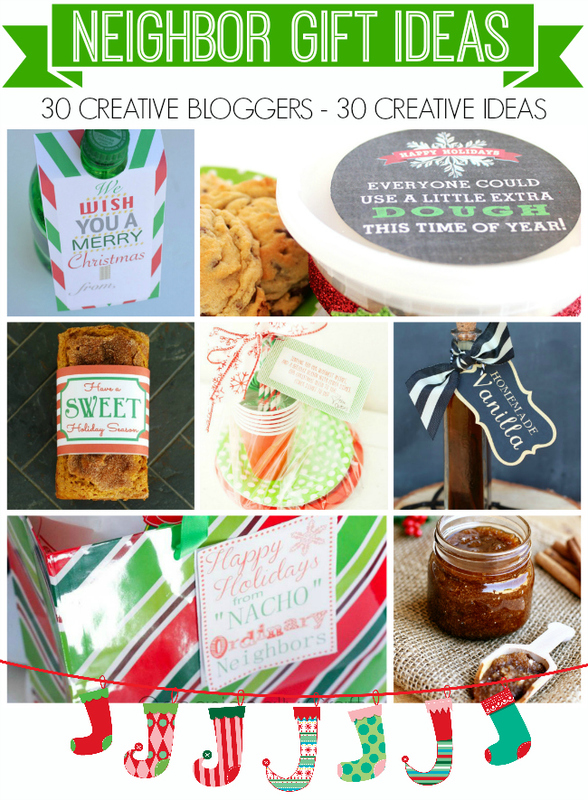 Today we have teamed up with 29 talented and creative bloggers to share some neighbor gift ideas with you guys. 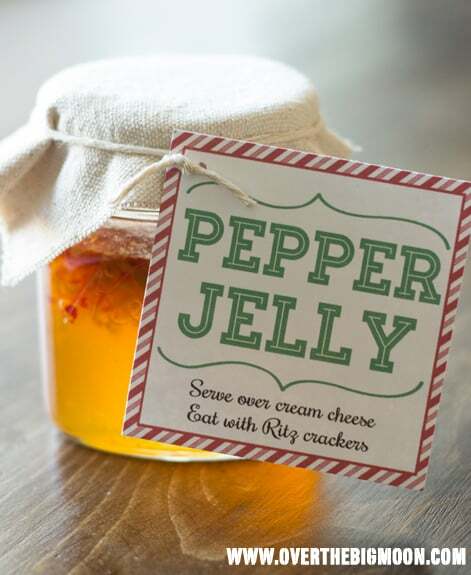 We are sharing our go-to Neighbor Gift for the last few years – Pepper Jelly! 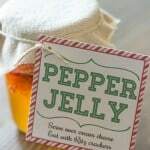 Lisa actually introduced me to Pepper Jelly about 6 years ago and I was obsessed! Funny thing is – I’m actually not a pepper fan! But, I LOVE this stuff! My mom has also given this as her neighbor/work gift the last 4 years as well! It’s THAT good! A yummy treat or appetizer! You can use a food processor to chop peppers just be careful not to dice them to small. Bring all ingredients, except pectin to a rolling boil. Add pectin and return to a boil. Time for 1 1/2 minutes and take off burner. Hot pack in warm jars for 15 minutes. Remove from canner and allow to cool for 24 hours. The jelly will set up as it cools. Makes approx 17 half pints! Serve over Cream Cheese and eat with Ritz! 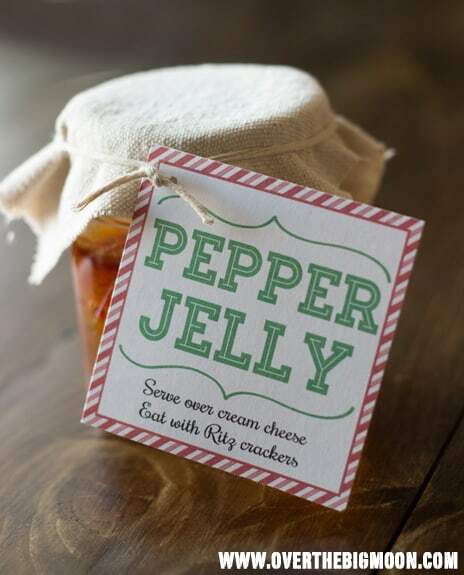 We are also sharing this cute Gift Tag that you can attach to your Pepper Jelly! Just click below to download it! Now check out the other 29 awesome ideas! If you love an idea, be sure and click over to see the full tutorial! Sorry, but am I missing something. 1) I’ve never used (or looked for) liquid Certo, so size please. 2) 3 C of vinegar and Certo is the only liquid in this? I’d love to give this a try, but I’m just feeling the liquid quantities don’t add up… I soooo wanna get this right! 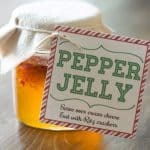 I guess now that you’ve moved away, I’ll have to make my own pepper jelly this year! So yummy! Pinned. 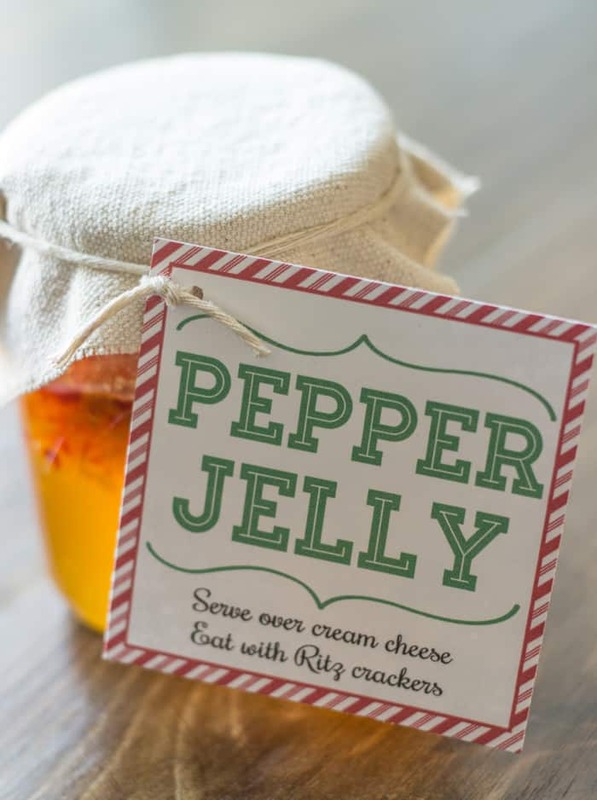 I love pepper jelly. Can’t wait to have some for a Thanksgiving treat!